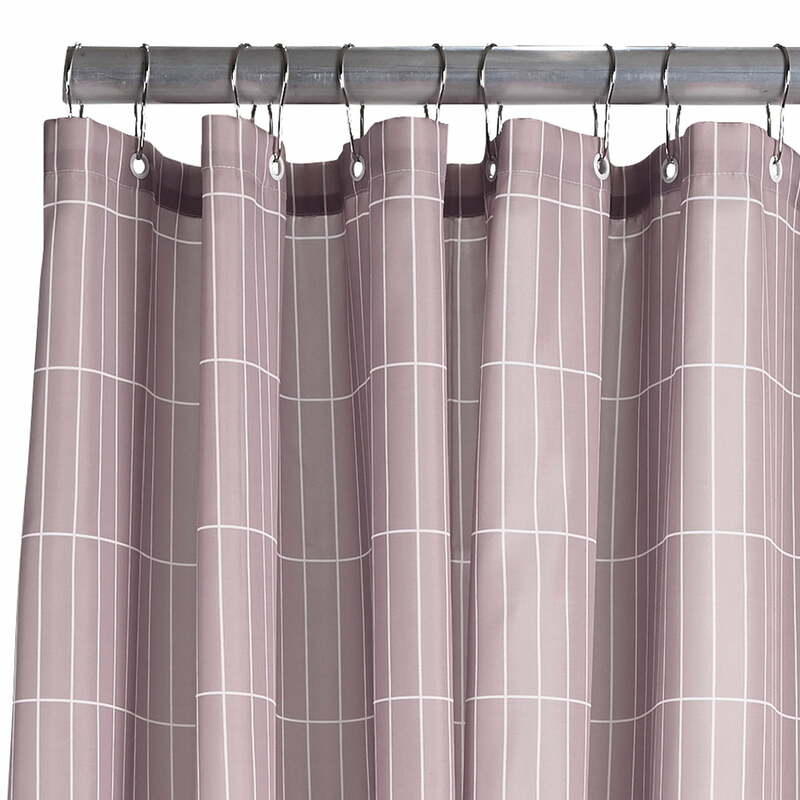 The Tiles shower curtain from Zone Denmark is a practical and stylish accessory for the bathroom. A linear tile pattern distinguishes the design and brings a certain peace into the bathroom ambience. Made of polyester, the water rolls off reliably, so that surrounding walls and floors remain dry. If required, the curtain can simply be placed in the washing machine at 30°C. 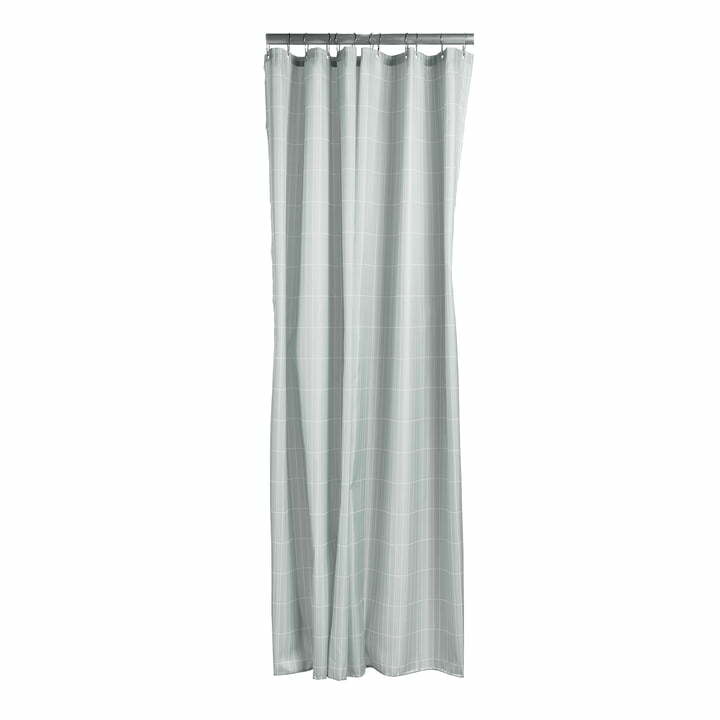 The curtain is available in different colours, which fit perfectly to those of the Ume and Nova series. In this way a uniformly designed, cosy bathroom can be created. Tiles shower curtain in eucalyptus green from Zone Denmark in single view. The forehand is available in different colours, which fit perfectly to those of the Ume and Nova series. Tiles shower curtain of Zone Denmark in eucalyptus green in single view. 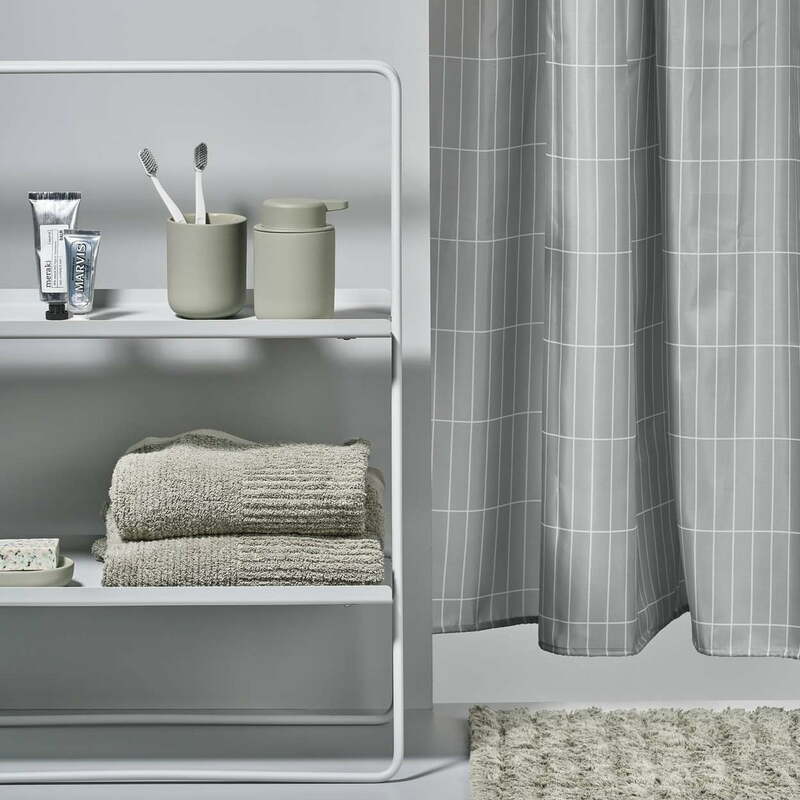 The Tiles shower curtain from Zone Denmark is a practical and stylish accessory for the bathroom.